Summary: Spurlock can’t quite dispel the impression that he’s experiencing baby jitters, fleeing responsibility instead of facing it. After taking on McDonalds, crusading filmmaker Morgan Spurlock strives to bring an even greater evil to justice. Post Super Size Me and the documentary series 30 Days, Spurlock has chosen to look at America from outside his homeland. With his wife due to give birth to their first child, he’s concerned about bringing a baby into this violent world. So equipped with little more than a camera and naïf-like sense of enquiry, Spurlock heads for the Middle East to try to find the world’s most wanted man. He argues that if a lifetime of watching action movies has taught him anything, it’s that when you need something dangerous done, send a single brave and certifiably insane desperado to do it. 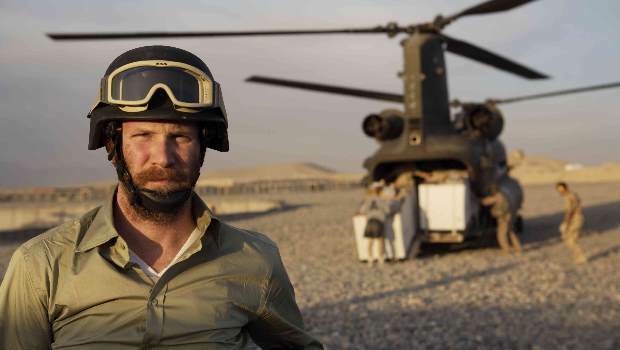 Travelling through Egypt, Israel, Saudi Arabia, Afghanistan and Pakistan, Spurlock proves once again to be an affable onscreen presence, less hectoring and more down-to-earth than Michael Moore. Charming burqa-clad women and poverty-stricken Palestinians, he elicits candid conversation on Islamic extremism from radical anti-Western clerics and only occasionally incites ill-will, with an Orthodox Jew handing him an aggressive shove. Nevertheless, his primary modus operandi, of asking every other person he encounters point-blank whether they personally know where bin Laden is really starts to infuriate. Precious few of his interviewees seem to have an appetite for jihad, but even fewer have a good word to say about American foreign policy. With some impressive production values, exemplified by video game footage of Spurlock engaged in a Mortal Kombat style battle with bin Laden and a video spoof featuring the terrorist dancing to U Can’t Touch This, the film is framed like the computer game Where In The World Is Carmen Sandiego? This seems as good a format as any for a quest that was undoubtedly a bit cartoonish from the beginning. There are plenty of memorable scenes, such as Spurlock watching an Israeli bomb disposal droid detonate a suspect suitcase containing a bikini. Or his military guides in Tora Bora, bin Laden’s last confirmed whereabouts, excitedly gathering nuts from trees for their virility bolstering properties. The film’s ending is a copout and a slight on all journalists with families who’ve lost their lives reporting from trouble zones. Moreover, Spurlock can’t quite dispel the impression that he’s experiencing baby jitters, fleeing responsibility instead of facing it. Ultimately, his conclusion that we’re all essentially alike, wherever in the world we are (with the possible exception of Saudi Arabia), is simplistic yet forcefully made. But there’s no deeper political insight here than you might acquire from regularly reading newspapers. And if this is the level of investigative filmmaking required to get the masses to engage with the problems in the Middle East, then we’re all in terrible trouble.